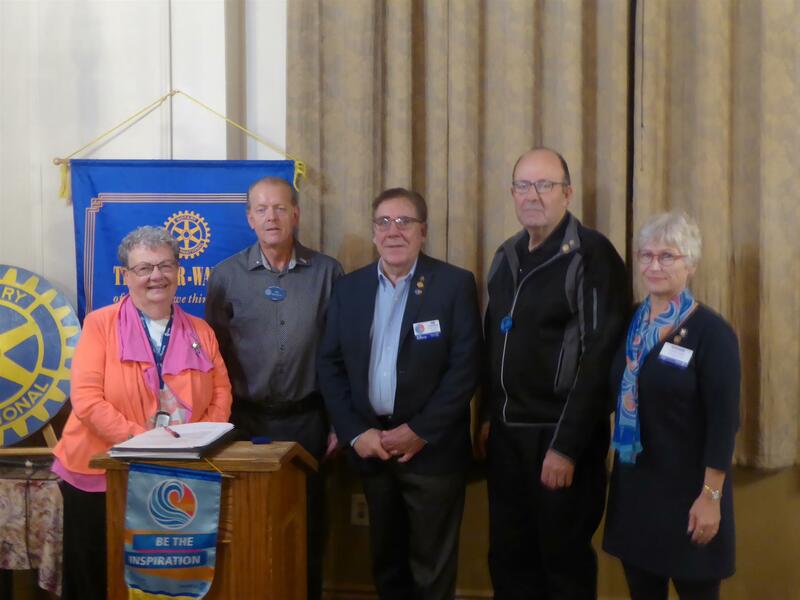 Valerie Trudgeon is welcomed into the Rotary Club of Festival City by membership chairperson Bev Stacey-Rivers and club president Bill Helmuth. 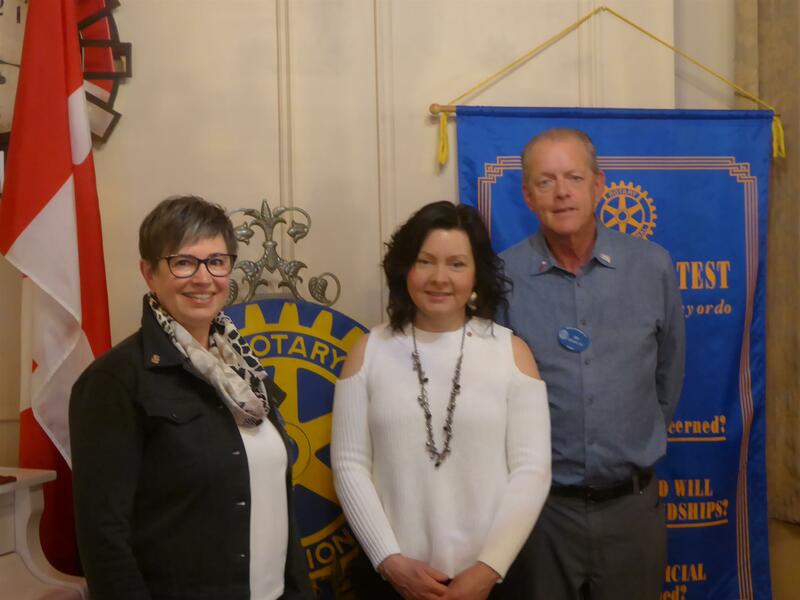 President Bill Helmuth and Membership Chairperson Deb Stacey-Rivers welcome Tina Grasby as the newest member of the Rotary Club of Festival City. Tina was sponsored by Christy Bertrand. 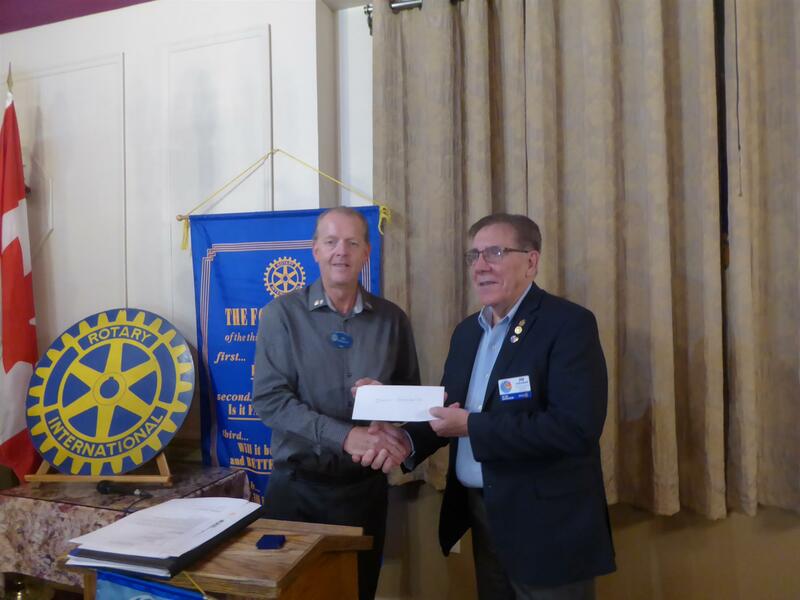 President Bill Helmuth received a certificate from District Governor Jim Schlatman who addressed the club at our weekly meeting October 30. The certificate is a thank you from the Rotary Foundation for our donations to the Foundation. 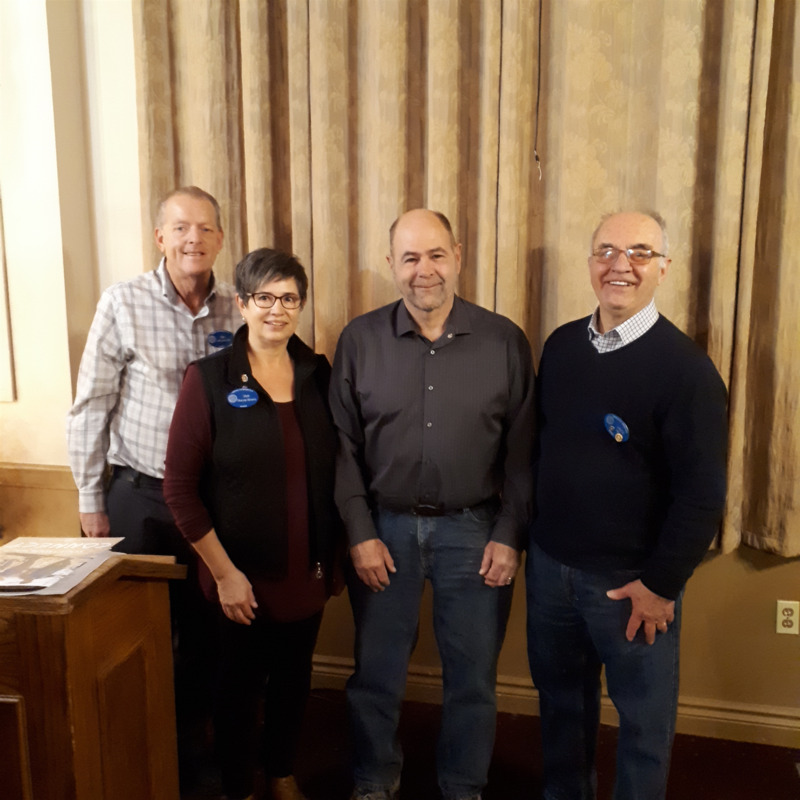 Bob Burchett, 3rd from left, is welcomed into the Rotary Club of Festival City by President Bill Helmuth, Membership Chairperson Deb Stacey-Rivers and sponsor Vincent Hill. Jean Aitcheson a multiple Paul Harris Fellow received another Paul Harris pin in recognition for her annual givings. Jean received her pin from Dianne Yundt. Peter Moreton received a second Paul Harris pin in recognition for his work as President last year. Assisting in the presentations are President Bill Helmuth and District Governor Jim Schlatman. 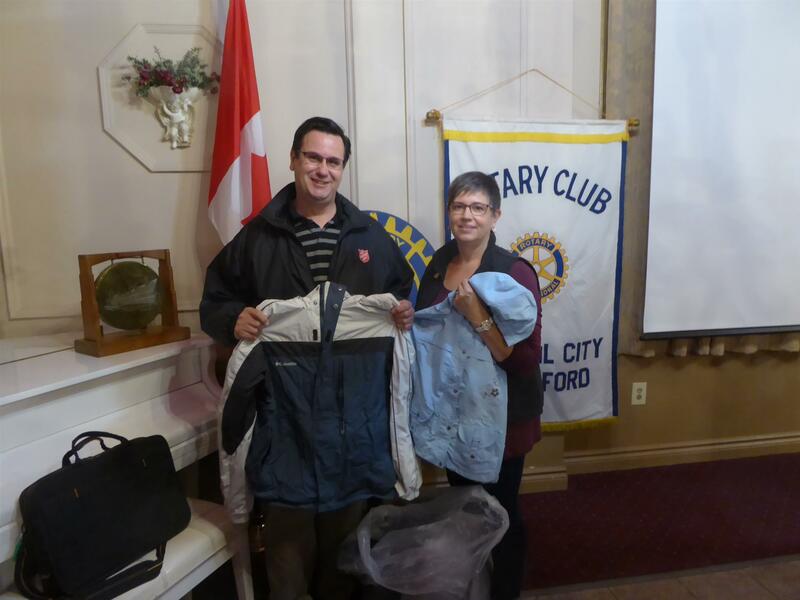 Barry Clarke, a former Rotarian, and representing the Stratford Salvation Army accepted two bags of winter clothes from Deb Stacey-Rivers. 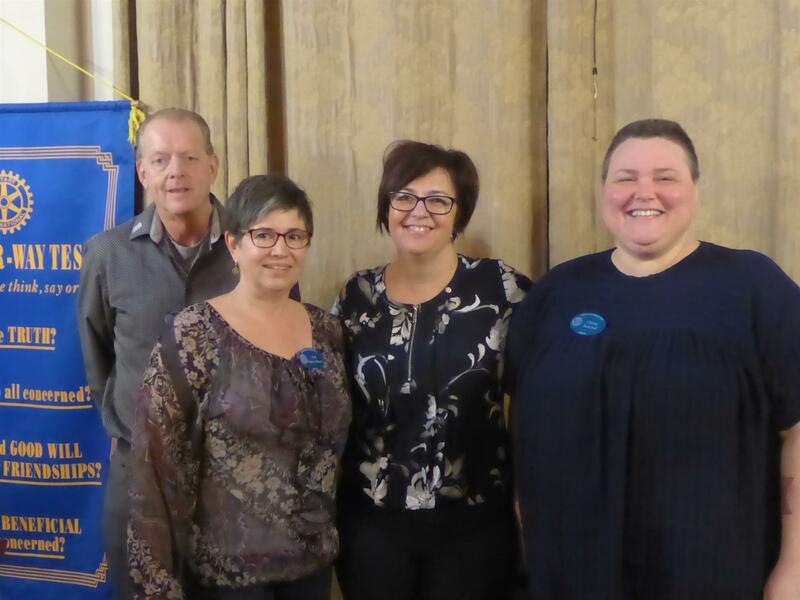 The clothing collected from members of the Festival City Rotary Club by Deb will be distributed to those in need of winter clothing. 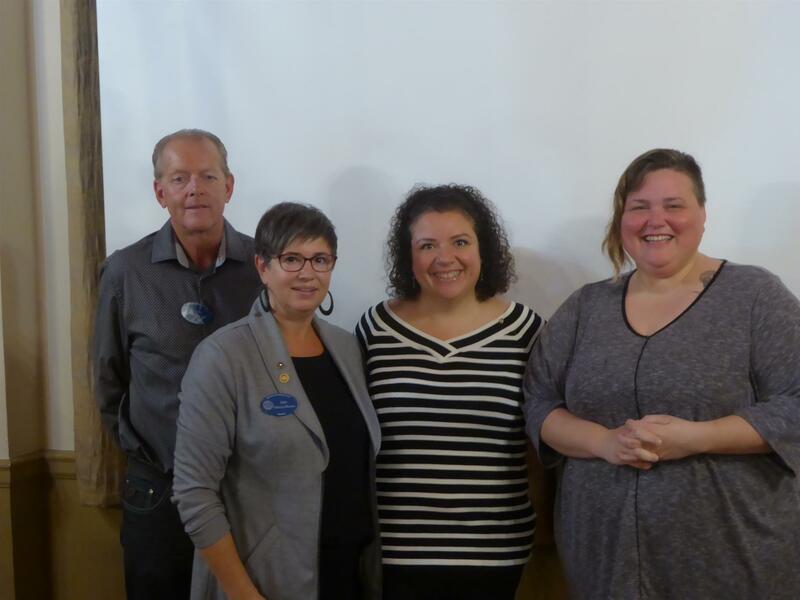 Club President Bill Helmuth, membership chairperson Deb Stacey-Rivers introduce and welcome Nancy Totino who was sponsored by Christy Bertrand. 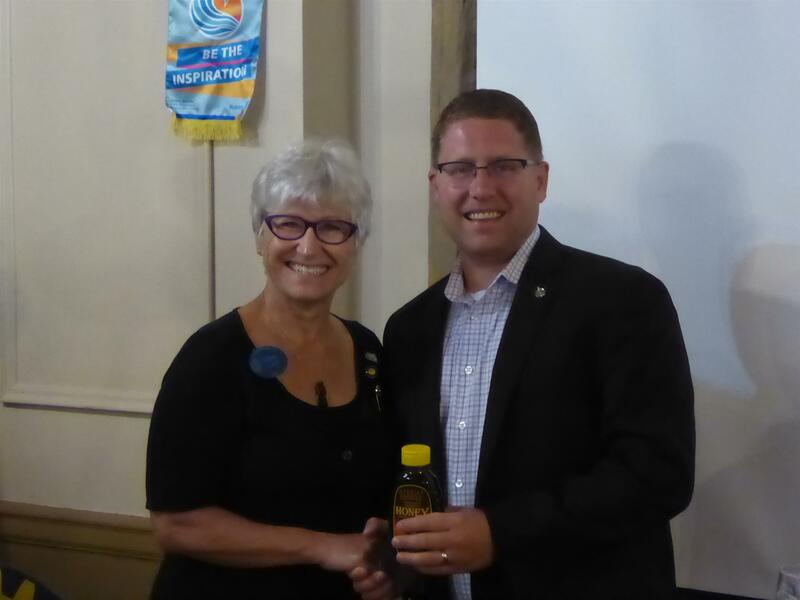 Rotarian Dianne Yundt thanked MP John Nater for speaking to the Festival City Rotary Club. John is the Shadow Cabinet Secretary for Interprovincial Trade and the Sharing Economy. 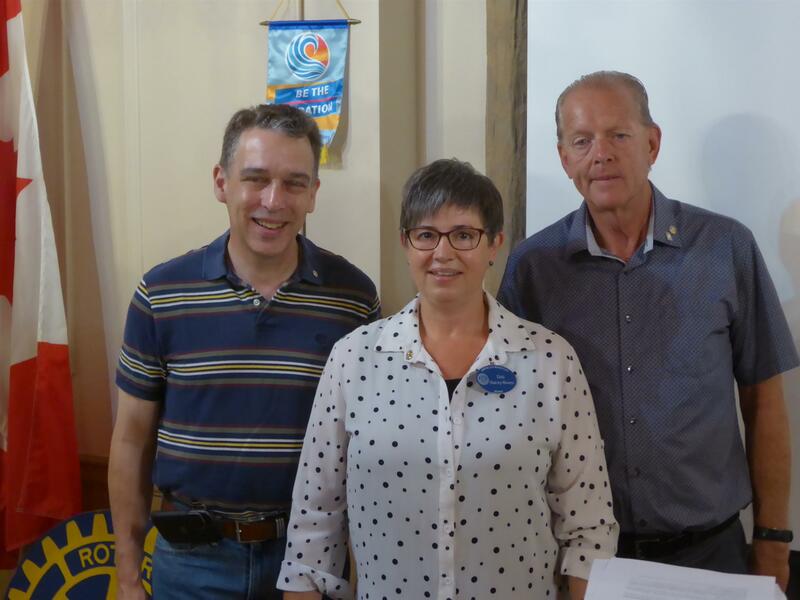 Bev Hepburn is welcomed to the Festival City Rotary Club by membership chairperson Deb Stacey-Rivers and club President Bill Helmuth.